3. 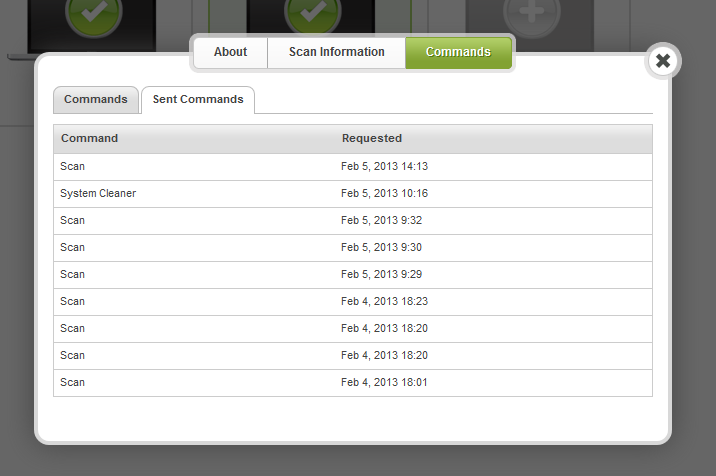 There is a history of commands available as well. 4. 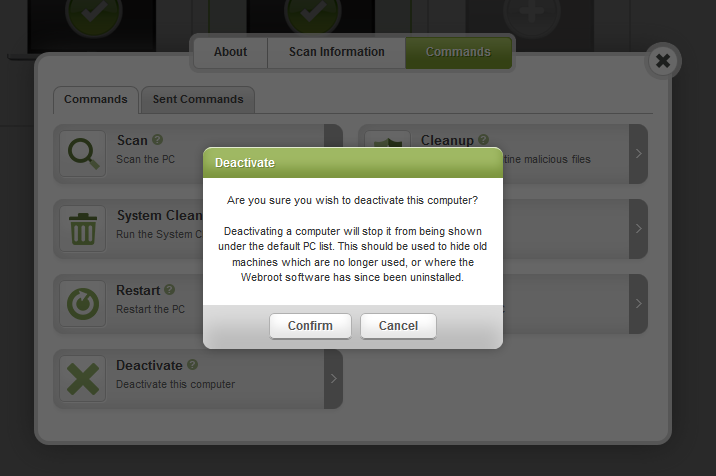 The deactivate screen looks a little different. Commands, in general, will not cause the action to occur immediately. They will trigger the next time the agent checks in. You can run a scan from the computer the agent is installed on in order to force the agent to check in. It looks pretty good... I do think I will like it. That looks good! I am very glad to see those improvements in the interface. 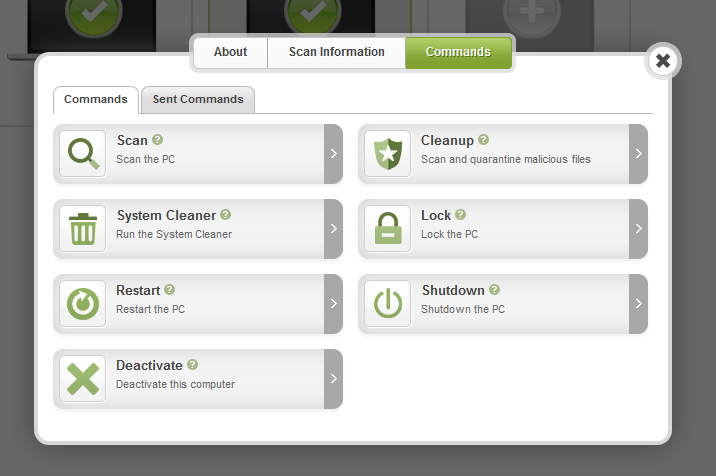 BTW - I hate cartoonish looking portals, but can Webroot add a little bit of color to the console? Thanks Jim for giving us a chance to sniff the new graphic of the console and extended features. As for myself, I love them all. I can't wait to play with commands. Well done! I am going to love this, while my wife might not: she never runs system cleaner on our shared computer. When i run it, it clears my cache and temps but not hers. 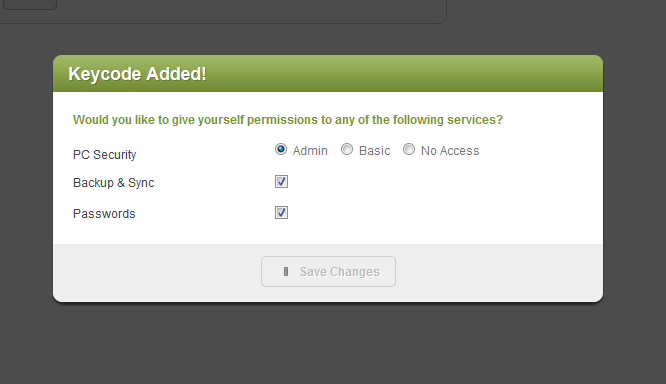 Want to guess what remote command i am going to use Monday from work?